Sell your Samsung Galaxy S3 I9300 with OnReycle and get the most money. We compare all major phone recyclers in seconds. Founded in 1938, Samsung are one of the biggest designers and manufacturers of mobile phones that the world has ever known. They began trading in fish, fruit and veg before branching out to textiles, insurance, securities and retail. In the 1960s, Samsung focused strongly on the world of consumer electronics and in the 90s they spent a lot of time and energy on the mobile phone sector. This was clearly a good move, as Samsung is now one of the most popular mobile brands on the market! Never slowing down on success, the Samsung brand is constantly evolving. Whilst this is good news for consumers wanting to splash out on the latest ranges of exciting technology, it can also be frustrating for people whose devices go out of date - and thus lose value - relatively quickly. One such device is the Samsung Galaxy S3 i9300, which was one of the top smartphones on the market when it was released in 2012, but has now fallen behind subsequent 'S' models, through to the Samsung Galaxy S8 (due to launch at the end of 2017). No doubt when this model is released, the value of the Samsung Galaxy S3 i9300 will decline further. However, there are a large number of online recyclers who are passionate about buying Samsung Galaxy S3 i9300 smartphones from consumers just like you! If you have a Samsung Galaxy S3 i9300 and want to sell it - or are merely interested in receiving a free, no obligation quotation at this stage - you have come to the right place. OnRecycle are experts at pairing recyclers with consumers who want to cash in on their old handsets. We've spent time forming and maintaining relationships with these recyclers, and are therefore able to offer you a solution that fits your mobile sale needs. We understand what it's like to feel left behind by technology, and we also know how it feels to have a mobile phone that you no longer like or need. It can be difficult to find the time to go out and find a buyer for these devices. So, OnRecycle decided to bring the seller to you! When you log on to our website, you will notice a search bar located at the top of every page. Simply enter 'Samsung Galaxy S3 i9300' into that search bar, and the device will appear in a dropdown list. Click on the device that matches the handset you are looking to sell, and you will be transferred to a new screen. You will now see some options that allow you to give us more specific details about the Samsung Galaxy S3 i9300 you wish to sell. Select the version that you have (either 16, 32 or 64GB models), and the condition that your phone is in. It is important that you are honest here, as the recycler may change the terms of sale if the phone they receive does not match the condition you are telling them it is in. Rest assured, however, that even broken models are worth money to recyclers. Finally, we need to know the network that your Samsung Galaxy S3 i9300 is linked to (if any), so that we can tell the recycler. Once we have all of these details, we can get you an accurate list of quotations. When the screen refreshes, you will be presented with a selection of potential buyers. This information can be sorted to suit your circumstances. In order to find a buyer who will pay quickly, you can filter by the 'payment period' column - which reorganises the data so that the quickest appears at the top of the list (under our recommended recyclers). Price is likely to play a big part in who you choose to sell to, so click on the 'price' field to rearrange the list to show the recycler who'll pay the most at the top. The 'user rating' field can also be sorted, so that the recyclers with the best ratings appear at the top of the list. We always recommend that you take time to research the recycler you are selling to. Not only should you look at their star rating, but also by taking the time to read some of the reviews that previous users have left. This can be done by clicking on the 'view reviews' link, just under the star ratings. Bear in mind that the reviews written here have been left by people in a similar position to you, so you can take advantage of their experiences. Once you have chosen a recycler, click on the 'sell now' button, and you will be guided through the remaining processes, allowing you to sell your Samsung Galaxy S3 I9300 handset. Once the money is received, you are ready to start shopping for your next smartphone. It can be useful to check the spec of the Samsung Galaxy S3 i9300, so that you know what you are looking for. Here is our brief review of your old handset. The i9300 was Samsung's entry into the competitive smartphone market in 2012. It weighs 133 grams and has dimensions of 136.6 x 70.6 x 8.6. The screen itself measures 4.8 inches, and has a super AMOLED capacitive touchscreen functionality. The resolution is 720 x 1280 pixels. The device has an 8 megapixel camera, with a secondary lens of 1.9 megapixels. The photos that are taken can be stored within either the 16, 32 or 64GB size device, supported by 1GB RAM. The storage size can be expanded by up to 64GB via the micro SD card slot. 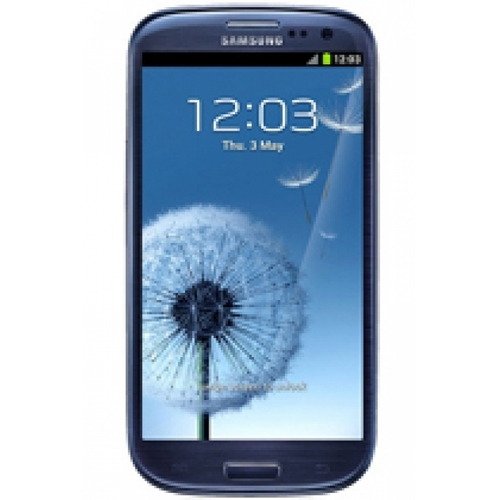 The Samsung Galaxy S3 i9300 is available in a range of colours, including: pebble blue, marble white, amber brown, garnet red, sapphire black and titanium grey. Its battery is capable of up to 790 hours of standby time and up to 11 hours 40 minutes of talk time via 3G.